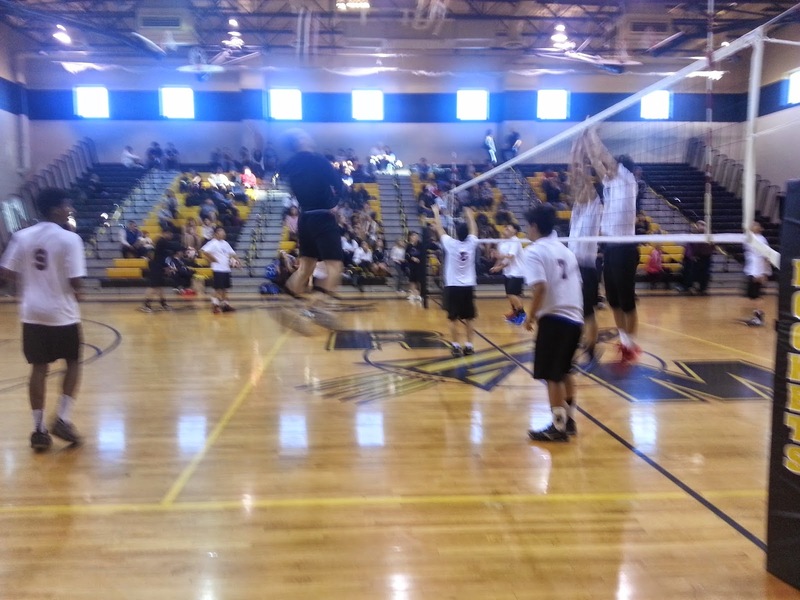 Patriots win against Richard Montgomery 25-21, 25-19, 25-15. Those words kinda have an old school charge to them. Throw in a "Rah Rah" and the cadence is set to cheer your dear old school's march down the gridiron. On the volleyball court, the Sons of Wootton are giving their parents lots to cheer about this season. And, most apparently, the parents are a driving force behind their sons' success. Literally. Minivans may not be the coolest thing to drive but they sure do get the job done transporting the boys to and from practice and games. Nothing puts this coach's mind at ease than the sight of four or five minivans showing up to drive the team to away matches. Cheers to you, parents....Rah Rah Parents of the Sons of Wootton! Honk Honk Beep Beep. The parents are not just drivers, but are the champions of these diving diggers, the sideout sages of serving and setting, the misters of Molten mobility, the jumping jousters of jammalammadingdong. (whatever rolls off the tongue will do for a cheer...) And by champions, I mean they raise these boys to go to class, study, be polite, be good citizens and treat their volleyball coach nicely. Seems to be working well... so far. Second....We have one more regular season match against Blake on Monday, April 28, and then playoffs. Now is the time to do your parent homework, get enough grown-up sleep, eat well and prepare yourself for some awesome parenting action. The Sons of Wootton are cheering you on. You can do it!